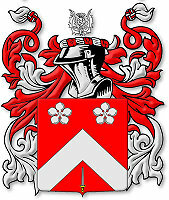 Linked family file JOHN1763 with spouse ancestryHERE. 1. John1 Doig, born abt 1763 Of Kirriemuir, Angus, Scotland; died bef 1824 in Scotland. He married on 18 Oct 1788 in Inverarity & Methay, Angus, Scotland Elizabeth (Betty) Myles, born 1761/66 Of Inverarity & Methay, Angus, Scotland, daughter of David Myles and Janet Wilkie. Possible father from recorded births in Kirriemuir after 1749: John may be christened on 16 June 1762, son of Andrew Doig in Longbank; or christened 1 Nov 1764, son of Robert Doig, brewer in Rosewell; or christened 29 Mar 1767, son of David Doig in Migvie; or christened 19 Aug 1767, son of David Doig in Hiltown; or christened 11 Jan 1769, son of William Doig, weaver in Kirriemuir. Daughter Jean named after Jean Doig, probable sister. No Doig grandparents named in the children's christening records. John was a weaver in Dundee. John Doigs were buried on 7 May 1817 and 26 Mar 1818 in the Howff Graveyard, Dundee. John was listed from Kirriemuir and Betty from Inverarity & Methay. In 1841 Elisabeth Doig (75 Angus) lived on independent means at High Street, Dundee, Angus. + 2 i Jean2 Doig, born 23 Jul 1791 in Dundee, Angus, Scotland; christened 24 Jul 1791 in Dundee, Angus, Scotland. She married William Morrice. + 3 ii Charles2 Doig, born 5 Oct 1793 in Dundee, Angus, Scotland; christened 6 Oct 1793 in Dundee, Angus, Scotland; died Oct 1871/71 in Whitehaven, Cumberland, England. He married (1) Margaret Duncan; (2) Jean Alexander. + 4 iii Margaret2 Doig, born 12 Mar 1795 in Dundee, Angus, Scotland; christened 15 Mar 1795 in Dundee, Angus, Scotland; died 26 Aug 1849 in Constitution Road, Dundee, Angus, Scotland; buried 29 Aug 1849 in Howff Graveyard, Dundee, Angus, Scotland. She married Thomas Thomson. + 5 iv David2 Doig, born 16 Oct 1796 in Dundee, Angus, Scotland; christened 23 Oct 1796 in Dundee, Angus, Scotland. He married Jane (---). + 6 v Elizabeth (Betty)2 Doig, born 26 May 1798 in Dundee, Angus, Scotland; christened 27 May 1798 in Dundee, Angus, Scotland; died aft 1861 Of Glasgow, Lanark, Scotland. She married John Gilchrist. 7 vi John2 Doig, born 29 Mar 1800 in Dundee, Angus, Scotland; christened 6 Apr 1800 in Dundee, Angus, Scotland. Notes: In the christening record John was named after his father. He may have died young. + 8 vii Susan2 Doig, born 11 May 1804 in Dundee, Angus, Scotland; christened 13 May 1804 in Dundee, Angus, Scotland; died 16 Oct 1874 in Lyell's Land, Small's Wynd, St. Peter, Dundee, Angus, Scotland. She married Robert Lamb. 2. Jean2 Doig (John1), born 23 Jul 1791 in Dundee, Angus, Scotland; christened 24 Jul 1791 in Dundee, Angus, Scotland. She married William Morrice, born abt 1790 in Scotland. In the christening record Jean was named after Jean Doig. 9 i John Doig3 Morrice, born 22 Aug 1823 in Dundee, Angus, Scotland; christened 12 Sep 1823 in Dundee, Angus, Scotland. Notes: John was named after his grandfather John Doig. 10 ii Elizabeth3 Morrice, born 22 Sep 1824 in Dundee, Angus, Scotland; christened 7 May 1825 in Dundee, Angus, Scotland. Notes: Elizabeth was named after her grandmother. 3. Charles2 Doig (John1), born 5 Oct 1793 in Dundee, Angus, Scotland; christened 6 Oct 1793 in Dundee, Angus, Scotland; died Oct 1871/71 in Whitehaven, Cumberland, England. He married (1) Not married Margaret Duncan, born abt 1793 in Scotland; (2) Jean Alexander, born 1791/92 Of Uphall, West Lothian, Scotland; died 24 Jan 1866 in Gilgarron, Cumberland, England. In the christening record Charles was named after his uncle, Charles Myles. Charles had an illegitimate son by Margaret Duncan, after which he left the area. Charles was a gardener and domestic servant. In 1841 Charles (40 Scotland) was a gardener at Sutton Greens residing at London Road St. Cutbert, Cumberland, England with his children William (15 Scotland), John (15 Scotland), Andrew (15 Scotland), and Ann (10 Scotland). In 1851 he was a gardener residing at Gilgarron, Distington, Cumberland, England with his wife Jean, daughter Ann, and visitor Elizabeth Lamonby (9 Maryfest, Cumberland). In 1861 he was a gardener at Gilgarron with his wife Jane and granddaughter Ann Dolfin [Dolphines] Doig (6 Distington). In 1871 Charles Doeg was a retired gardener residing in Gilganow Village, Distington with a servant Martha Castlehow (76 Distington). + 11 i Andrew3 Doig, born 1814 in Inverarity & Methay, Angus, Scotland; christened 5 Sep 1814 in Inverarity & Methay, Angus, Scotland; died 18 Sep 1875 in Maul Street, Carnoustie, Barry, Angus, Scotland. He married Janet Warden. + 12 i William3 Doig, born 25 Apr 1821 in Uphall, West Lothian, Scotland; christened 18 May 1821 in Uphall, West Lothian, Scotland; died Apr 1897/97 in Romford, Essex, England. He married Sophia Batty. + 13 ii John3 Doig, born 25 Apr 1821 in Uphall, West Lothian, Scotland; christened 18 May 1821 in Uphall, West Lothian, Scotland; died Oct 1887/87 in Carlisle, Cumberland, England. He married Isabella Stephenson. 14 iii Margaret3 Doig, born 8 Sep 1822 in Uphall, West Lothian, Scotland; christened 13 Oct 1822 in Uphall, West Lothian, Scotland. Notes: In 1851 Margaret was a domestic servant to magistrate Jospeh P. Lenhouse at Rotherhall, Maryport, Cumberland, England. + 15 iv Henry Inglis3 Doig, born 8 May 1825 in Uphall, West Lothian, Scotland; christened 8 May 1825 in Uphall, West Lothian, Scotland; died 26 Mar 1897 in Whitehaven, Cumberland, England. He married (1) unknown; (2) Jane Todd. + 16 v Mary3 Doig, born 1827 in St. Mungo, Dumfries, Scotland; christened 30 Aug 1827 in St. Mungo, Dumfries, Scotland; died Jan 1895/95 in Preston, England. She married William Carver. 17 vi Ann3 Doig, born 1829/30 Of St. Mungo, Dumfries, Scotland. 18 vii Jean (Jane) Rogerson3 Doig, born 14 Feb 1831 in St. Mungo, Dumfries, Scotland; died 1 Feb 1840 in London Road, Botchergate, Cumberland, England. Notes: Death notice in "Carlisle Journal," 8 Feb 1840: In London Road, Botchergate, on Saturday last, Jane, daughter of Mr. Charles Doig, gardener, aged 8. 19 viii Montgomeree Hart3 Doig, born 14 Feb 1831 in St. Mungo, Dumfries, Scotland. + 20 ix Joseph B.3 Doig, born 1832/33 in Calton, Dumfries, Scotland. He married unknown. 4. Margaret2 Doig (John1), born 12 Mar 1795 in Dundee, Angus, Scotland; christened 15 Mar 1795 in Dundee, Angus, Scotland; died 26 Aug 1849 in Constitution Road, Dundee, Angus, Scotland; buried 29 Aug 1849 in Howff Graveyard, Dundee, Angus, Scotland. She married Thomas Thomson, born 1 Apr 1797 in Dunfermline, Fife, Scotland; christened 23 Jul 1797 in Beath, Fife, Scotland; died Jun 1850 in Ireland's Lane, Chapelshade, Dundee, Angus, Scotland; buried 5 Jun 1850 in Howff Graveyard, Dundee, Angus, Scotland, son of John Thomson and Ann Rutherford. In the christening record Margaret was named after her great aunt Margaret Wilkie. Thomas was an engine maker in Dundee. In 1841 Thomas (40 not Angus) was a mill wright residing on Constition Street, Dundee with his wife Margaret and daughter Margaret. Thomas died at age 54, his birthplace listed as Dunfermline. Link not certain to these parents. 21 i Margaret3 Thomson, born 22 Mar 1828 in Dundee, Angus, Scotland; christened 30 Mar 1828 in Dundee, Angus, Scotland. 22 ii Andrew3 Thomson, born 15 May 1834 in Dundee, Angus, Scotland; christened 25 May 1834 in Dundee, Angus, Scotland; buried 17 Jul 1835 in Howff Graveyard, Dundee, Angus, Scotland. 5. David2 Doig (John1), born 16 Oct 1796 in Dundee, Angus, Scotland; christened 23 Oct 1796 in Dundee, Angus, Scotland. He married Jane (---), born abt 1799 in Scotland. In the christening record David was named after his grandfather David Myles. The following marriage to Jane with son David is uncertain. + 23 i David3 Doig, born 1824/25 in Scotland; died 5 Sep 1902 in 88 Atlantic Avenue, Brooklyn, Kings Co., NY; buried 7 Sep 1902 in Calvary Cemetery, Brooklyn, Kings Co., NY. He married Elizabeth Reardon. 6. Elizabeth (Betty)2 Doig (John1), born 26 May 1798 in Dundee, Angus, Scotland; christened 27 May 1798 in Dundee, Angus, Scotland; died aft 1861 Of Glasgow, Lanark, Scotland. She married on 30 Oct 1821 in Dundee, Angus, Scotland John Gilchrist, born 1783/84 in Dundee, Angus, Scotland; died Nov 1845 in Hilltown, Dundee, Angus, Scotland; buried 27 Nov 1845 in Hilltown, Dundee, Angus, Scotland. In the christening record Elizabeth was named after her mother. In 1851 Elizabeth lived at 2 Wellcroft Place, Gorbals, Lanark with children John (dresser's asst.) and Elizabeth (scholar). In 1861 she lived at 144 Eglinton Street, Tradeston, Glasgow with daughter Elizabeth (milliner). Elizabeth was listed as the daughter of John Doeg, weaver, and both from Dundee. John was a sailor, or seaman. + 24 i John3 Gilchrist, born 8 Nov 1822 in Dundee, Angus, Scotland; christened 18 Nov 1822 in Dundee, Angus, Scotland. He married Jane Hunter. 25 ii Elizabeth Thomson3 Gilchrist, born 12 Jan 1833 in Dundee, Angus, Scotland. Notes: Elizabeth's middle name Thomson was the married name of her Aunt Margaret. 8. Susan2 Doig (John1), born 11 May 1804 in Dundee, Angus, Scotland; christened 13 May 1804 in Dundee, Angus, Scotland; died 16 Oct 1874 in Lyell's Land, Small's Wynd, St. Peter, Dundee, Angus, Scotland. She married on 29 Dec 1826 in Dundee, Angus, Scotland Robert Lamb, born 28 May 1804 in Dundee, Angus, Scotland; christened 30 May 1804 in Dundee, Angus, Scotland; buried 6 Aug 1857 in Howff Graveyard, Dundee, Angus, Scotland, son of Thomas Lamb and Jean Mackie. Witness to Susan's death certificate was her son William Lamb. Susan was listed as the daughter of John Doig, weaver. Both were from Dundee. In 1841 Robert was a flaxdresser at Jackson's Land, Scouringburn, Dundee with his wife Susan and chidlren William, John, Eliza, Thomas, Jane, and Charles. In 1851 he was a flaxdresser at 19 Temple Lane, Dundee with Susan and 7 children. 26 i William3 Lamb, born 28 Oct 1827 in Dundee, Angus, Scotland; christened 25 Nov 1827 in Dundee, Angus, Scotland. 27 ii John3 Lamb, born 14 Jan 1829 in Dundee, Angus, Scotland; christened 25 Jan 1829 in Dundee, Angus, Scotland. 28 iii Robert3 Lamb, born 4 Feb 1831 in Dundee, Angus, Scotland; christened 13 Feb 1831 in Dundee, Angus, Scotland; buried 9 May 1831 in Howff Graveyard, Dundee, Angus, Scotland. 29 iv Elizabeth Doig3 Lamb, born 11 Mar 1832 in Dundee, Angus, Scotland; christened 1 Apr 1832 in Dundee, Angus, Scotland. 30 v Thomas3 Lamb, born 20 Feb 1834 in Dundee, Angus, Scotland; christened 2 Mar 1834 in Dundee, Angus, Scotland. 31 vi Jean Blair Hean3 Lamb, born 12 Mar 1836 in Dundee, Angus, Scotland; christened 3 Apr 1836 in Dundee, Angus, Scotland. 32 vii Peter Bruce3 Lamb, born 24 Feb 1838 in Dundee, Angus, Scotland; christened 18 Mar 1838 in Dundee, Angus, Scotland; buried 13 May 1839 in Howff Graveyard, Dundee, Angus, Scotland. 33 viii Charles3 Lamb, born 24 Mar 1840 in Dundee, Angus, Scotland; christened 4 Apr 1840 in Dundee, Angus, Scotland. 34 ix Susan3 Lamb, born 4 Mar 1843 in Dundee, Angus, Scotland; christened 19 Mar 1843 in Dundee, Angus, Scotland; died 1860 in Dundee, Angus, Scotland. 35 x Robert3 Lamb, born 21 Dec 1844 in Dundee, Angus, Scotland; christened 4 Jan 1845 in Dundee, Angus, Scotland. 36 xi James3 Lamb, born 9 Apr 1847 in Dundee, Angus, Scotland; christened 30 May 1847 in Dundee, Angus, Scotland; died Dec 1847 in Scouringburn, Dundee, Angus, Scotland; buried 21 Dec 1847 in Howff Graveyard, Dundee, Angus, Scotland. 11. Andrew3 Doig (Charles2, John1), born 1814 in Inverarity & Methay, Angus, Scotland; christened 5 Sep 1814 in Inverarity & Methay, Angus, Scotland; died 18 Sep 1875 in Maul Street, Carnoustie, Barry, Angus, Scotland. He married on 3 Aug 1839 in Barry, Angus, Scotland Janet Warden, born 5 Aug 1817 in Barry, Angus, Scotland; christened 11 Aug 1817 in Barry, Angus, Scotland; died 1902 in Mains, Angus, Scotland, daughter of Robert Warden and Isabel Fife. Andrew is listed in his christening record of Inverarity & Methay as the "natural son" [i.e. illegitimate] of Charles Doeg. His mother's name is given in his death record by son Robert Doig. Andrew was a journeyman mason in Carnoustie. In 1841 Andrew Doig (25 not Lanark) was a journeyman mason residing without his family on Dundas Road, Barony, Lanark. It appears he had gone ahead to look for a place to live, as the next two children were born in Glasgow prior to moving back to Barry. In 1871 he was a mason on Maule Street, Barry with wife Janet and son David (seaman). Witness to Andrew's death certificate was his son, Robert Doig. Robert listed Andrew's parents as Charles Doig, gardener & domestic servant (dec), and Margaret Duncan, domestic servant. He also listed his age as 64 years and 9 month, or born 1810/11. They contracted marriage on 27 July 1839 and proclaimed it on 28 July 1839 in Barry. Both were listed from Barry. In 1841 Jannet Doig lived in Carnoustie, Barry with her son Robert; husband Andrew Doig was in Glasgow looking for a place for them to live. 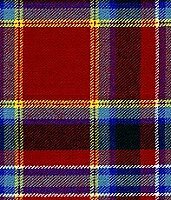 In 1851 Janet Warden was a married weaver in Carnoustie, Barry, Angus with her children Robert, John, Isabella, and David. In 1881 Jessie was a widow and housekeeper on William Street, Panbride with her unmarried sister Isabella Warden. In 1891 and 1901 she lived in Mains. + 37 i Robert Warden4 Doig, born 16 Nov 1839 in Carnoustie, Barry, Angus, Scotland; christened 25 Feb 1840 in Barry, Angus, Scotland; died 6 Sep 1887 in St. Andrews, Fife, Scotland; buried in St. Andrews, Fife, Scotland. He married (1) Margaret Allan; (2) Margaret Hall. 38 ii John4 Doig, born 1842/43 in Glasgow, Lanark, Scotland. + 39 iii Isabella Warden4 Doig, born 1842/43 in Glasgow, Lanark, Scotland; died 1914 in Mains, Angus, Scotland. She married Alexander Soutar. 40 iv David4 Doig, born 1844/45 in Barry, Angus, Scotland. Notes: In 1861 David was a servant and nephew to Thomas and sister Isobell Marden at Newton Panbride, Barry, Angus. In 1871 he was an unmarried seaman living with his parents in Barry. 12. William3 Doig (Charles2, John1), born 25 Apr 1821 in Uphall, West Lothian, Scotland; christened 18 May 1821 in Uphall, West Lothian, Scotland; died Apr 1897/97 in Romford, Essex, England. He married on 29 Jan 1855 in Parish Church of Paddington, Middlesex, England Sophia Batty, born 1825 in Bourne, Swinstead, Lincoln, England; christened 12 Jun 1825 in Bourne, Swinstead, Lincoln, England; died Apr 1889/89 in Billericay, England, daughter of Thomas Batty and Susanna Foster. William was a twin, born first. William was a gardener of Bathhurst Mews. In 1881 William and Sophia lived in South Weald, Essex with son Alexander. In 1891 he was a gardener residing at Hope Groom Lane, South Weald, Essex with a servant. He became a professor of botany. Witnesses were George Hayton and Anne Gillespie. In 1841 Sophia was a servant to Edward (farmer) and Frances Collington at Market Place, Corby, Lincolnshire. 41 i Charles Garet4 Doig, born Oct 1856/56 in Chelmsford, Essex, England; died Jan 1876/76 in Chelmsford, Essex, England. + 42 ii William Alexander4 Doig, born Apr 1858/58 in Chelmsford, Essex, England. He married Sarah Elizabeth Sayers. 43 iii John4 Doig, born Apr 1860/60 in Chelmsford, Essex, England; died Oct 1896/96 in Hampstead, London, England. Notes: John joined the Army Service Corps in London on 1 July 1878. In 1891 he was a soldier in the Army Service Corps in Woolwich, London. 44 iv Margaret Jean4 Doig, born Oct 1861/61 in Chelmsford, Essex, England. She married on 26 Jan 1916 in Immanuel Streatham, Lambeth, London, England George Frederick Hobson, born 1859/60 in England, son of Henry Hobson. Notes: In 1891 Margaret was a servant to Robert A. James at 7 Camborne Terrace, Richmond, Surrey; her brother Alexander was also in the houshold. In 1901 Margaret, age 33 from Chelmsford, was living on her own means in Derby. In 1911 she lived in Richmond, Surrey. MARRIAGE: Witnesses were W. Herbert Daw & Ethel Fitz James. + 45 v Henry4 Doig, born Jul 1863/63 in Chelmsford, Essex, England; died Oct 1952/52 in Dartford (Greenhithe), Kent, England. He married Flora Hayton. + 46 vi Alexander4 Doig, born Oct 1868/68 in Chelmsford, Essex, England; died Jul 1928/28 in St. Albans, England. He married Ada Annie L. (---). 13. John3 Doig (Charles2, John1), born 25 Apr 1821 in Uphall, West Lothian, Scotland; christened 18 May 1821 in Uphall, West Lothian, Scotland; died Oct 1887/87 in Carlisle, Cumberland, England. He married on 25 Mar 1856 in Chapel of the Holy Trinity, Whitehaven, Cumberland, England Isabella Stephenson, born 1827 in Carlisle, Cumberland, England; christened 4 Dec 1827 in Wesleyan, Nenthead, Cumberland, England; died Apr 1882/82 in Carlisle, Cumberland, England, daughter of Henry Stephenson and Phillis Pearson. John was a twin, born second. In 1861 John was a master gardener Hollins Lodge, Hensingham, Cumberland, England with his wife Isabella (33 Carlisle) and daughters Marion and Margaret. In 1871 John Doig was a gardener residing at Longmires Court, Whitehaven, St. Bees, Cumberland, England with his wife Isabella and children Marion J., Charles, and William. In 1881 John Doeg was a gardener residing at Warwick Works, Wetheral, Cumberland with his wife Isabella and children Margaret and William. The link to parents is based on age, place of birth, and a son with middle name Henry. + 47 i Marion Jean4 Doig, born Jul 1857/57 in Whitehaven, Cumberland, England. She married Walter C. Chisholm. + 48 ii Margaret4 Doig, born Oct 1858/58 in Hensingham, Cumberland, England. She married Walter Jeffrey. + 49 iii Charles Henry4 Doig, born Jul 1861/61 in Hensingham (Whitehaven), Cumberland, England; died Jul 1941/41 in Darlington, Durham, England. He married Margaret Ann Sewell. + 50 iv William4 Doig, born Apr 1866/66 in Hensingham, Cumberland, England; died Apr 1937/37 in Carlisle, Cumberland, England. He married Elizabeth Beaty. 15. Henry Inglis3 Doig (Charles2, John1), born 8 May 1825 in Uphall, West Lothian, Scotland; christened 8 May 1825 in Uphall, West Lothian, Scotland; died 26 Mar 1897 in Whitehaven, Cumberland, England. He married (1) unknown; (2) on 17 Apr 1858 in Presbyterian Church, Whitehaven, Cumberland, England Jane Todd, born 1818/19 in Cumberland, England; died Oct 1894/94 in Whitehaven, Cumberland, England, daughter of David Todd and Mary (---). The link to son Henry (probably illegitimate) is based on age and being the only Henry Doig listed in the 1851 England census. At son Henry's marriage he reported his father as Henry Dulisse Doig at that time in 1878 he reported his father deceased. In 1851 Henry was a gardener lodging in Great Clifton, Cumberland, England. In 1861 Henry was a market gardener at Bransly Garden House, Preston Quarter, Cumberland with his wife Jane, stepchildren Mary Wanless and Thomas T. Wanless, and unmarried sister-in-law Mary Todd (dress maker, 38 Whitehaven). In 1871 Henry was a gardener of 9 acres employing 2 men and 1 woman; he resided at Bransly Garden with his wife Jane, daughter Mary Wanless (22 Whitehaven), son Thomas Wanless (20 Whitehaven), and servant Mary Todd (48 Whitehaven). [servant's children?] In 1881 he was a gardener at 2 Gales Court, Whitehaven, Cumberland with his wife Jane. In 1891 he was a gardener residing at 70 Church Street, Whitehave with his wife Jane. + 51 i Henry Juniper4 Doig, born 2 Dec 1852 in St. James, London, Middlesex, England; died Jul 1915/15 in Camberwell, London, England. He married Ann Sarah Clark. 16. Mary3 Doig (Charles2, John1), born 1827 in St. Mungo, Dumfries, Scotland; christened 30 Aug 1827 in St. Mungo, Dumfries, Scotland; died Jan 1895/95 in Preston, England. She married in Apr 1852/52 in Whitehaven, Cumberland, England William Carver, born 1828 in Distington, Cumberland, England; christened 24 Feb 1828 in Distington, Cumberland, England, son of Daniel Carver and Ann Dryden. In 1841 Mary was a field servant living on London Road, St. Cuthbert, Cumberland, England. In 1851 Mary was a house maid to John Stanley, MD and his wife Jane at Belle Avenue, Distington, Cumberland. In 1861 William was a cordivaner residing at Bransty Toll Gate, Moresby, Cumberland with his wife Mary and daughters Jane and Margaret. In 1881 was a bootmaker residing at 399 Stanley Road, Kirkdale, Lancashire with his wife Mary, daughter Jane (millener's assistant), and boarder Matthew Harrison (chemist's assistant, 33 Lancashire). In 1891 he was a shipping clerk with wife Mary at 5 Delta Street, Litherland, Lancashire. 52 i Jane Dryden4 Carver, born 1853/54 in Distington, Cumberland, England. 53 ii Margaret4 Carver, born 1855/56 in Distington, Cumberland, England. 20. Joseph B.3 Doig (Charles2, John1), born 1832/33 in Calton, Dumfries, Scotland. He married Not married unknown. The link to parents uncertain and based on age and birth in Dumfries. Town name uncertain. In 1851 Joseph was a student lodging at 19/2 Salisbury Street, St. Cuthberts, Edinburgh with Ann Ferguson and family. + 54 i Joseph English4 Doig or Lamb, born Jan 1860/60 in Whitehaven, Cumberland, England. He married Janet Tanner. 23. David3 Doig (David2, John1), born 1824/25 in Scotland; died 5 Sep 1902 in 88 Atlantic Avenue, Brooklyn, Kings Co., NY; buried 7 Sep 1902 in Calvary Cemetery, Brooklyn, Kings Co., NY. He married on 29 Jan 1861 in Methodist Church, New York City, NY Elizabeth Reardon, born 15 May 1842 in Ireland; died 5 Feb 1912 in Brooklyn, Kings Co., NY; buried in Calvary Cemetery, Brooklyn, Kings Co., NY, daughter of John Reardon and Jane Southern. David arrived at New York at about age 14 in 1838/9. In the 1865 NY State Census David Doig (35 Scotland) was a seaman and alien residing in the 6th Ward, Brooklyn, Kings Co., NY with his wife Eliza (24 Ireland) and daughters Jane A. (2 years 9 months NY Co.) and Lizzie (5 months Kings Co.). In 1870 David Dyke was a laborer in Brooklyn with his wife Elizabeth, children Jane and Thomas, and Catherine Moran (seamstress, 60, Ireland). In 1880 David Doig was a longshoreman residing at 163/5 Atlantic Avenue, Brooklyn (page 181) with his wife Eliza and children Jane A. and John. David recorded an exemplified copy of his will in the Surrogate Court, Brooklyn, Kings, Co., NY on 14 Feb 1902. He died at age 77 at his apartment in the tenament at 88 Atlantic Avenue, Brooklyn. On his death certificate his parents are reported as David Doig and Jane, both of Scotland; he was also reported having lived in New York 63 years. + 55 i Jane A.4 Doig, born 24 Aug 1862 in New York Co., NY; died 29 Dec 1913 in 432 Warren Street, Brooklyn, Kings Co., NY; buried in Calvary Cemetery, Brooklyn, Kings Co., NY. She married Hugh Edward Pattison. 56 ii Elizabeth4 Doig, born 1864/65 in Kings Co., NY; died 1865/70 in Kings Co., NY. 57 iii Thomas4 Doig, born Sep 1869 in NY; died 1870/80 in NY. Notes: Thomas was not with the family in 1880 and is presumed deceased. 58 iv John4 Doig, born 1873/74 in NY. 24. John3 Gilchrist (Elizabeth (Betty)2 Doig, John1), born 8 Nov 1822 in Dundee, Angus, Scotland; christened 18 Nov 1822 in Dundee, Angus, Scotland. He married on 5 Jul 1858 in Tradeston, Glasgow, Lanark, Scotland Jane Hunter, born 1837/38 in Airdrie, Lanark, Scotland. In 1861 John was an assistant draper at 66 Florence Street, Hutchesonton, Govan, Glasgow with wife Jane and daughters Jane and Elizabeth. 59 i Jane4 Gilchrist, born 9 Oct 1856 in Tradeston, Glasgow, Lanark, Scotland. 60 ii Elizabeth Doig4 Gilchrist, born 27 Feb 1859 in Melrose, Roxburgh, Scotland. 61 iii John4 Gilchrist, born 28 Jan 1862 in Hutchesonton, Glasgow, Lanark, Scotland. 62 iv Mary Davidson4 Gilchrist, born 26 Feb 1865 in Hutchesonton, Glasgow, Lanark, Scotland. 63 v Thomas Davidson4 Gilchrist, born 4 Jan 1869 in Tradeston, Glasgow, Lanark, Scotland. 64 vi Robert Gray Watson4 Gilchrist, born 18 Jul 1872 in Bridgeton, Glasgow, Lanark, Scotland. 37. Robert Warden4 Doig (Andrew3, Charles2, John1), born 16 Nov 1839 in Carnoustie, Barry, Angus, Scotland; christened 25 Feb 1840 in Barry, Angus, Scotland; died 6 Sep 1887 in St. Andrews, Fife, Scotland; buried in St. Andrews, Fife, Scotland. He married (1) Not married Margaret Allan, born 20 Mar 1841 in St. Andrews, Fife, Scotland; christened 5 Apr 1841 in St. Andrews, Fife, Scotland, daughter of Samuel Allan and Barbara Forbes; (2) on 10 Dec 1869 in Leuchars, Fife, Scotland Margaret Hall, born 17 May 1843 in Monksholm, St. Andrews, Fife, Scotland; died 1911 in St. Andrews, Fife, Scotland, daughter of Robert Hall and Ann Terras. Robert had an illegitimate son by Margaret Allan. In 1881 Robert was a Mason living at 6 Fleming Place, St. Andrews, Fife with his wife Margaret Hall and children Annie, Andrew, and John. In 1881 Margaret was a laundress at Fig Tree Cottages, Forgan, Fife with her children Robert Doig (plumber), James Allan (scholar), Henry Allan (scholar), and Barbara Allan. The births of Margaret and sister Christian are reported too close together. Based on her age at death Margaret may have been born in 1842. Or, they may have been twins and the later date for christening. In 1891 Margaret was a widow living in Kinness Park, St. Andrews; she was a grocer, Annie a domestic servant, Andrew a plumber, and John a scholar. In 1901 she lived in St. Andrew with sons Andrew and John. + 65 i Robert5 Doig, born 13 Jan 1865 in St. Andrews, Fife, Scotland. He married Mary Ann Kettles. 66 i Ann Terras5 Doig, born 12 Dec 1870 in St. Andrews, Fife, Scotland. She married in 1903 in St. Andrews, Fife, Scotland William Galston, born abt 1870 in Scotland. Notes: In 1901 Ann and her sister Helen lived together in St. Andrews, Fife. 67 ii Isabella Warden5 Doig, born 23 Nov 1872 in St. Andrews, Fife, Scotland; died 21 Oct 1875 in St. Andrews, Fife, Scotland; buried in St. Andrews, Fife, Scotland. 68 iii Andrew5 Doig, born 11 Jun 1875 in St. Andrews, Fife, Scotland. He married on 16 Jun 1911 in 29 Ashton Terrace, Partick, Lanark, Scotland Mary Forbes Knox, born 1882/83 Of St. Andrews, Fife, Scotland, daughter of Robert Knox and Marjory Westwood. Notes: In 1911 Andrew was a journeyman plumber residin at 6 Kinness Park, St. Andrews. MARRIAGE: Witnesses were William Knox and Susan Knox. 69 iv Helen Wilhelmina5 Doig, born 1877 in St. Andrews, Fife, Scotland; died 25 Nov 1923 in St. Andrews, Fife, Scotland. Notes: In 1901 Helen and her sister Ann lived together in St. Andrews, Fife. Probate: Helen Wilhelmina Doig of 11 Queens Garden St Andrews died 25 November 1923. Confirmation of Andrew Doig plumber. Sealed London 6 February 1924. 70 v John5 Doig, born 1880 in St. Andrews, Fife, Scotland; died 25 Dec 1902 in St. Andrews, Fife, Scotland; buried in St. Andrews, Fife, Scotland. Notes: John did not marry. 71 vi Robert Warden5 Doig, born 1882 in St. Andrews, Fife, Scotland; died 9 May 1884 in St. Andrews, Fife, Scotland; buried in St. Andrews, Fife, Scotland. 72 vii Jessie Warden5 Doig, born 1884 in St. Andrews, Fife, Scotland; died 31 Aug 1885 in St. Andrews, Fife, Scotland; buried in St. Andrews, Fife, Scotland. Notes: Jessie was not with her mother in 1891 and may have been deceased. 73 viii Isabella Warden5 Doig, born 1885 in St. Andrews, Fife, Scotland; died 1885 in St. Andrews, Fife, Scotland. 39. Isabella Warden4 Doig (Andrew3, Charles2, John1), born 1842/43 in Glasgow, Lanark, Scotland; died 1914 in Mains, Angus, Scotland. She married on 18 Aug 1865 in Carnoustie, Barry, Angus, Scotland Alexander Soutar, born 1 Feb 1845 in Arbroath, Angus, Scotland; christened 20 Feb 1845 in Arbroath, Angus, Scotland, son of John Soutar and Ann Stevenson. In 1865 Isabella was a steam loom weaver living on Jamaica Street, Maxwelltown, Dundee. Witnesses were Robert Doig and Elizabeth Fyfe. In 1865 Alexander was a tenter in a steam loom factory. In 1881 he was a jute powerloom tenter residing at 19 Glamis Street, Dundee with his wife Isabella and children Andrew, Jessie, Alexander, John, and David. 74 i Ann Stevenson5 Soutar, born 27 Feb 1866 in Dundee, Angus, Scotland. 75 ii Andrew Doig5 Soutar, born 20 Mar 1868 in Dundee, Angus, Scotland; died 1925 in Lochee, Dundee, Angus, Scotland. 76 iii Jessie Warden5 Soutar, born 14 Feb 1870 in Dundee, Angus, Scotland. 77 iv Alexander5 Soutar, born 7 Jul 1872 in Dundee, Angus, Scotland. 78 v John Doig5 Soutar, born 12 Aug 1874 in Dundee, Angus, Scotland. 79 vi David5 Soutar, born 1881 in Dundee, Angus, Scotland. 42. William Alexander4 Doig (William3, Charles2, John1), born Apr 1858/58 in Chelmsford, Essex, England. He married in Oct 1885/85 in Maldon, Essex, England Sarah Elizabeth Sayers, born Jan 1860/60 in Ulting (Witham), Essex, England; died Jan 1897/97 in Whitechapel, England, daughter of James Sayers and Sarah (---). In 1881 William was a servant to Josiah Milton in Romford, Essex. In 1891 he was a green's porter residing at 8 Willow Street, Romford with his wife Sarah Elizabeth and son Willie. In 1901 he was a propagtoir gardener in Althorne, Essex. 80 i William Sayers (Willie)5 Doig, born Oct 1886/86 in Romford, Essex, England; died Apr 1947/47 in SW Essex, England. Notes: In 1901 William S. Doig (14 Romford) was a telegraph messenger boarding at 98 Market Place, Romford, Essex. In 1911 he was a motor & cycle engineer boarding at 1 Meadow Road, Loughton, Essex. 45. Henry4 Doig (William3, Charles2, John1), born Jul 1863/63 in Chelmsford, Essex, England; died Oct 1952/52 in Dartford (Greenhithe), Kent, England. He married in Jul 1891/91 in Woolwich, London, England Flora Hayton, born Jul 1870/70 in Woolwich, London, England; died Jul 1957/57 in Dartford (Greenhithe), Kent, England, daughter of Joseph Hayton and Mary A. (---). In 1881 Harry was an assistant to Richard Parsons in Colchester Street, Runwald, Essex. In 1901 Henry was a shopkeeper draper in Swanscombe, Kent with his wife Flora and children Edith, Kenneth, Donald, and Alexander. In 1911 he was an outfitter at 43 High Street, Greenhithe, Kent with Flora and children Edith, Kenneth, Donald, and Alexander. 81 i Edith Mildrid5 Doig, born Apr 1892/92 in Dartford (Greenhithe), Kent, England. She married on 24 Feb 1919 in Greenhithe,¿ Kent,¿ England Henry Brotherton Howdon, born Apr 1889/89 in Auckland, Durham, England. 82 ii Douglas Alexander5 Doig, born Jul 1893/93 in Dartford (Greenhithe), Kent, England; died Mar 1897/97 in Dartford (Greenhithe), Kent, England. + 83 iii Kenneth Hayton5 Doig, born 10 Jul 1895 in Dartford (Greenhithe), Kent, England; died Jul 1982/82 in Worthing, England. He married Beatrice V. Harrison. + 84 iv Donald Henry5 Doig, born 25 Mar 1898 in Dartford (Greenhithe), Kent, England; died Oct 1977/77 in Dartford (Greenhithe), Kent, England. He married Eva Ruth Quinlan. 85 v Alexander5 Doig, born Jul 1900/00 in Dartford (Greenhithe), Kent, England; died Apr 1912/12 in Dartford (Greenhithe), Kent, England. 46. Alexander4 Doig (William3, Charles2, John1), born Oct 1868/68 in Chelmsford, Essex, England; died Jul 1928/28 in St. Albans, England. He married Ada Annie L. (---), born 1873/74 in Nunhead, Surrey, England; died Jan 1946/46 in Croyden, England. Alexander lived with his parents in South Weald, Essex. In 1891 he was a boarder with Robert A. James at 7 Camborne Terrace, Richmond, Surrey; his sister Margaret was a servant in the houshold. In 1901 Alexander was a bank accountant in Battersea, London with his wife Ada and daughter Ada. In 1911 he and Ada lived in Richmond, Surrey with daugher Ada and sister Margaret Jean Doig. 86 i Ada Maud (Maudie)5 Doig, born Oct 1897/97 in Fulham (Shepherd¿s Bush), Middlesex, England. She married in Apr 1923/23 in Hammersmith, England Charles West, born abt 1895 in England. 47. Marion Jean4 Doig (John3, Charles2, John1), born Jul 1857/57 in Whitehaven, Cumberland, England. She married in Apr 1889/89 in Carlisle, Cumberland, England Walter C. Chisholm, born 1864/65 in Scotland. In 1901 Walter was a cattle stocksman in Darlington, Yorkshire with wife Marion and son John. 87 i John D.5 Chisholm, born 1885/86 in Grasby, Yorkshire, England. 48. Margaret4 Doig (John3, Charles2, John1), born Oct 1858/58 in Hensingham, Cumberland, England. She married in Jan 1883/83 in Carlisle, Cumberland, England Walter Jeffrey, born 21 Nov 1861 in Langholm, Dumfries, Scotland, son of David Jeffrey and Mary Byers. In 1891 Walter was a power loom turner residing at Headsmouth, Wetheral, Cumberland, England with his wife Margaret and 5 children. In 1901 he was a shop keeper in a woolen mill living at 35 Grasmere Street, Botchergate, Cumberland with his wife Margaret and 6 children. 88 i David5 Jeffrey, born Jan 1884/84 in Milehaven (Carlisle), Cumberland, England. 89 ii Charles5 Jeffrey, born 1885/86 in Scotland. 90 iii John5 Jeffrey, born 1886/87 in Scotland. 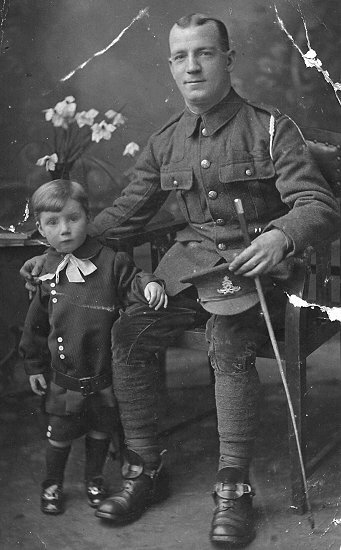 91 iv Thomas5 Jeffrey, born 1888/89 in Scotland. 92 v Ethel5 Jeffrey, born 1890/91 in Wetheral, Cumberland, England. 93 vi Hilda5 Jeffrey, born 1893/94 in Wetheral, Cumberland, England. 49. Charles Henry4 Doig (John3, Charles2, John1), born Jul 1861/61 in Hensingham (Whitehaven), Cumberland, England; died Jul 1941/41 in Darlington, Durham, England. He married in Apr 1882/82 in Carlisle, Cumberland, England Margaret Ann Sewell, born 1864/66 in Warwick Bridge (Wetheral), Cumberland, England; died Apr 1937/37 in Darlington, Durham, England. In 1881 Charles was a servant to Joseph Wilson in Burgh by Sands, Cumberland, England. In 1891 Charles H. Doeg was a general laborer residing at Great Corby, Wetheral, Cumberland with his wife Margaret and daughter Isabella. In 1901 Charles Doeg was a general laborer St. Cuthbert, Cumberland with his wife Maggie and children Isabella, Frederick, and Minnie. In 1911 he was a garden domestic laborer at 28 Rosebery Street, Darlington, Durham with wife Margaret and children Margaret, Freddy S., Minnie, and Sydney. In 1881 Margaret (16 Wetheral) a niece to George Sewell (cotton dyer, 45 Carlisle) and his wife Sarah Sewell (45 Wells) at Warwick Works, Wetheral, Cumberland. 94 i Isabella5 Doig, born Oct 1884/84 in Allendale (Hexham), Cumberland, England. She married in Oct 1907/07 in Darlington, Durham, England William Wood, born 1879/80 in Darlington, Durham, England. 95 ii Mary5 Doig, born 1891 in Carlisle, Cumberland, England. 96 iii Frederick Stanley (Freddy)5 Doig, born 25 Mar 1894 in Carlisle, Cumberland, England; died Mar 1985 in Darlington, Durham, England. He married in Oct 1920/20 in Teesdale, Durham, England Mabel E. Wigham. Notes: Freddy was an electric welder for the railway. 97 iv Minnie5 Doig, born Jan 1901/01 in Carlisle, Cumberland, England; died Apr 1970/70 in Darlington, Durham, England. + 98 v Sidney5 Doig, born 22 Jul 1903 in Carlisle, Cumberland, England; died Oct 1991 in Southhamption, England. He married (1) Annie Sharp; (2) Violet M. Stannett. 50. William4 Doig (John3, Charles2, John1), born Apr 1866/66 in Hensingham, Cumberland, England; died Apr 1937/37 in Carlisle, Cumberland, England. He married in Oct 1893/93 in Carlisle, Cumberland, England Elizabeth Beaty, born 1861/62 in Burn Riggs, Wetheral, Cumberland, England; died Oct 1920/20 in Carlisle, Cumberland, England, daughter of John Beaty and Ann Finlay. In 1901 William Doig, 32 of Hunsigham, Cumberland, was a railway goods porter in Darlington, Durham with his wife Elizabeth and daughter Isabella. In 1911 William Doeg was a cattle drover at 34 Rigg Street, Carlisle, Cumberland with wife Elizabeth and daughter Isabelle and Minnie. + 99 i Isabella5 Doig, born Oct 1900/00 in Carlisle, Cumberland, England. She married Joseph Lapping. 100 ii Minnie5 Doig, born 7 Feb 1902 in Darlington, Durham, England; died Jun 1970 in Darlington, Durham, England. 51. Henry Juniper4 Doig (Henry Inglis3, Charles2, John1), born 2 Dec 1852 in St. James, London, Middlesex, England; died Jul 1915/15 in Camberwell, London, England. He married on 9 Jun 1878 in St. George's Parish Church, Camberwell, England Ann Sarah Clark, born Jul 1852/52 in Hatcham (Camberwell), Surrey, England; died Oct 1944/44 in Watford, England, daughter of George Clark and Ann (---). Middle name reported as Juniper, possibly his mother's maiden name. Henry joined the Merchant Service as a Seaman on his 18th birthday, 2 Dec 1870. He was described as 5'5" tall, sandy hair, blue eyes, and a fresh complexion. He had a woman tatooed on his right arm and a burn scar on his right breast. He served 10 years, on the "Hercules" and "Rover," residing at the Naval Barracks. His conduct was rated good and very good, discharged because he was invalided. In 1861 Henry Dog (7 St. James, Middlesex) lodged at 4 Paton Place, Greenwich West, Kent with Sarah Sutton and family. In 1871 Henry Doig (age 18, born in London) was a Boy 1st Class in the Royal Navy on the "Hercules," Portsmouth, Hampshire. In 1881 he was a warehouseman with his family at 22 Willow Walk, Bermondsey. In 1891 he was a foreman in a leather ??? residing at 51 Fenham Road, Peckham, Camberwell, London with his wife Ann (tie maker) and sons Walter, Albert, Victor, Oscar, and Harold. In 1901 he was a commercial traveller (48 Middlesex) boarding at the Continental Hotel in Corbish, St. Cuthbert Within, Cumberland. 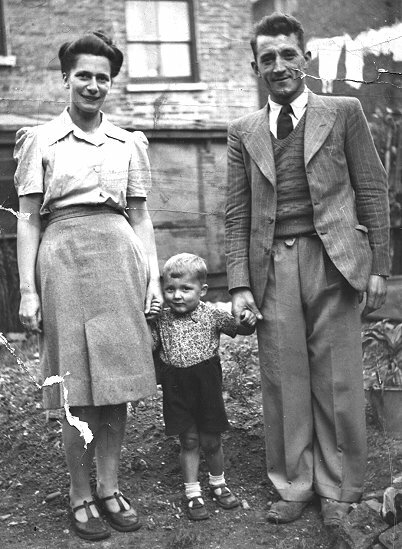 In 1911 Henry lived at 4 Pemmell's Place, Peckham, Camberwell, London with wife Ann Sarah, son Harold Edgar (shipping carrier's clerk), and future daughter-in-law Georgina Heals (cap lining cutter). Witnesses were G. Clark and M. J. Clark. Henry's father reads: Henry Dulisse Doig, also misread as Dulipe. In 1901 Mrs. Doig lived in Bermondsey, London with her children Walter (leather dresser), Victor (warehouseman), Oscar (general laborer), and Harold (van boy). + 101 i Walter Henry5 Doig, born Oct 1879/79 in Peckham, Surrey, England; died 8 Mar 1953 in NE Surrey, England. He married Gertrude Ada Needham. + 102 ii Albert George5 Doig, born 10 May 1882 in St. Clare, England; christened 15 Feb 1893 in St. Jude Peckham, Southwark, London, England; died aft 1942 Of Queens, NY, NY. He married Marion Rosa Faulkner. + 103 iii Victor Charles5 Doig, born 6 May 1883 in Camberwell, England; christened 15 Feb 1893 in St. Jude Peckham, Southwark, London, England; died 7 Sep 1951 in Watford, Hertford, England. He married Lavinia Perry. + 104 iv Oscar Frederick5 Doig, born 8 Apr 1885 in Camberwell, England; christened 15 Feb 1893 in St. Jude Peckham, Southwark, London, England; died 8 Jan 1965 in Weybridge Hospital, Surrey, England. He married Louisa Jane Soanes. + 105 v Harold Edgar5 Doig, born 21 Jul 1886 in Camberwell, London, England; christened 15 Feb 1893 in St. Jude Peckham, Southwark, London, England; died Jan 1926/26 in St. Martin, England. He married Georgina Heals. 54. Joseph English4 Doig or Lamb (Joseph B.3, Charles2, John1), born Jan 1860/60 in Whitehaven, Cumberland, England. He married in Apr 1883/83 in Barrow-in-Furness, Lancashire, England Janet Tanner, born 1858/59 in Kendal, Westmoreland, England. Joseph's mother was probably Sarah or Elizabeth Walker, sister of Ann Walker who adopted him. IGI incorrectly reports name as Joseph Dorge Lamb born 15 Feb 1859 in Whitehaven, son of Harrison Lamb and Ann Walker. Joseph was born in 1860 and adopted. Married as Joseph Doige Lamb. In 1901 Joseph D. Lamb was an engine smith in an ironworks residing at 2 Cook Street, Barrow-in-Furness, Lancashire with his wife Janet and children Joseph (iron fitter), Stanley (apprentice house joiner), alfred (apprentice steelworker boy), Ernest, and Janet. In 1911 he was a blacksmith living with Ernest Diment and family at 20 Hill Top Avenue Leeds, York; he is listed as married. In 1911 Janet lived at 2 Cook Street, Barrow In Furness, Lancashire with Ernest (apprentice engine fitter) and Janet (labour organizer's office clerk). 106 i Joseph Frederick5 Lamb, born Apr 1884/84 in Barrow-in-Furness, Lancashire, England; died Jul 1908/08 in Barrow-in-Furness, Lancashire, England. He married in Oct 1907/07 in Barrow-in-Furness, Lancashire, England unknown. 107 ii Stanley Doig5 Lamb, born Oct 1885/85 in Barrow-in-Furness, Lancashire, England. 108 iii Alfred5 Lamb, born Apr 1887/87 in Barrow-in-Furness, Lancashire, England. 109 iv Ernest5 Lamb, born Oct 1893/93 in Barrow-in-Furness, Lancashire, England. 110 v Janet Emily5 Lamb, born Apr 1896/96 in Barrow-in-Furness, Lancashire, England. 55. Jane A.4 Doig (David3, David2, John1), born 24 Aug 1862 in New York Co., NY; died 29 Dec 1913 in 432 Warren Street, Brooklyn, Kings Co., NY; buried in Calvary Cemetery, Brooklyn, Kings Co., NY. She married Hugh Edward Pattison, born Aug 1851 in NY; died 26 Mar 1915 in 381 Baltic Street, Brooklyn, Kings Co., NY; buried in Luthern Cemetery, Brooklyn, Kings Co., NY, son of Hugh Moore Pattison and Margaret Abbott. In 1900 Hugh lived on Pacific Street, Brooklyn with his wife Jane and 5 children. In 1910 he was an engineer in a saw mill living with his family in Brooklyn. + 111 i Mary Elizabeth5 Pattison, born Dec 1881 in Brooklyn, Kings Co., NY. She married (1) Mr. Riegal; (2) Mr. Wilson; (3) Daniel Joseph Brady. + 112 ii Hugh Edward5 Pattison, born 28 Sep 1883 in Brooklyn, Kings Co., NY; died 17 Apr 1945 in CT. He married Edith Ophelia Swanson. 113 iii Nathaniel5 Pattison, born 22 Aug 1884 in Brooklyn, Kings Co., NY. 114 iv John David5 Pattison, born Nov 1885 in Brooklyn, Kings Co., NY. + 115 v William D.5 Pattison, born 27 Jul 1889 in Brooklyn, Kings Co., NY; died Mar 1964. He married Elizabeth (---). 116 vi Jane A.5 Pattison, born Feb 1893 in Brooklyn, Kings Co., NY. She married Joseph Lyons, born 1887/88 in Ireland. 117 vii Loretta5 Pattison, born Apr 1895 in Brooklyn, Kings Co., NY; died 21 Mar 1899 in 74 Pacific Street, Brooklyn, Kings Co., NY; buried in Calvary Cemetery, Brooklyn, Kings Co., NY. 65. Robert5 Doig (Robert Warden4, Andrew3, Charles2, John1), born 13 Jan 1865 in St. Andrews, Fife, Scotland. He married on 24 Aug 1888 in 13 Coupar Street, Lochee, Dundee, Angus, Scotland Mary Ann Kettles, born 8 Aug 1866 in St. Nicholas, Aberdeen, Scotland; died 1950 in St. Andrew, Dundee, Angus, Scotland, daughter of James Kettles and Ann Sprunt. In 1891 Robert lived in St. Mary, Dundee with his wife Mary and son Henry. In 1901 he lived in St. Peter, Dundee with his wife Mary and sons Henry and Robert. Witnesses were James Forrester and Isabella Robertson. + 118 i Henry James6 Doig, born 1888 in St. Mary, Dundee, Angus, Scotland; died 1964 in Dundee, Angus, Scotland. He married Jessie Lawson Wallace. 119 ii Elizabeth6 Doig, born 7 Jun 1891 in 161 Overgate, Dundee, Angus, Scotland; died 1901 in St. Peter, Dundee, Angus, Scotland. 120 iii Robert6 Doig, born 1894 in St. Mary, Dundee, Angus, Scotland. 121 iv Allan6 Doig, born 1902 in St. Peter, Dundee, Angus, Scotland. 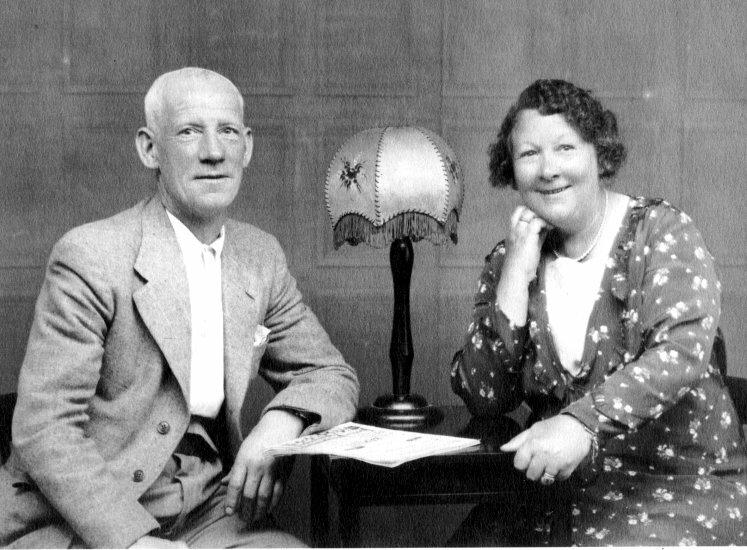 He married on 8 Jan 1926 in 27 Windsor Street, St. Peter, Dundee, Angus, Scotland Annie Williamson Rollo, born 1901/02 Of Dundee, Angus, Scotland; died 1968 in Lochee, Dundee, Angus, Scotland, daughter of David Rollo and Annie Coulter. Notes: MARRIAGE: Witnesses were Robert Doig and Jean Rollo. 83. Kenneth Hayton5 Doig (Henry4, William3, Charles2, John1), born 10 Jul 1895 in Dartford (Greenhithe), Kent, England; died Jul 1982/82 in Worthing, England. He married in Jul 1921/21 in Uttoxeter, England Beatrice V. Harrison, born abt 1900 Of England. + 122 i Ian Henry6 Doig, born 9 Mar 1933 in Hendon, England; died Dec 1986 in Worthing, England. He married Doreen W. Willis. 84. Donald Henry5 Doig (Henry4, William3, Charles2, John1), born 25 Mar 1898 in Dartford (Greenhithe), Kent, England; died Oct 1977/77 in Dartford (Greenhithe), Kent, England. He married in Jan 1920/20 in Southwark, England Eva Ruth Quinlan, born 7 Feb 1899 in England; died Apr 1973/73 in Dartford (Greenhithe), Kent, England. 123 i Delicia J. F.6 Doig, born Jul 1920/20 in Willesden, England. She married in Apr 1944/44 in Hampstead, England Royalton Jarvis Roe, born abt 1919 Of England. 124 ii Beryl F. M.6 Doig, born Apr 1922/22 in Willesden, England. She married in Apr 1942/42 in Dartford (Greenhithe), Kent, England Raymond H. Puckett. 125 iii June Quinlan6 Doig, born Apr 1927/27 in Dartford (Greenhithe), Kent, England. 98. Sidney5 Doig (Charles Henry4, John3, Charles2, John1), born 22 Jul 1903 in Carlisle, Cumberland, England; died Oct 1991 in Southhamption, England. He married (1) in Apr 1928/28 in Sedgefield, Durham, England Annie Sharp, born 1903/04 Of Darlington, Durham, England; died Jan 1943/43 in Darlington, Durham, England; (2) in Oct 1945/45 in Wandsworth, England Violet M. Stannett, born abt 1915 in England. 126 i Doreen6 Doig, born Jul 1929/29 in Darlington, Durham, England. 99. Isabella5 Doig (William4, John3, Charles2, John1), born Oct 1900/00 in Carlisle, Cumberland, England. She married in Jul 1920/20 in Carlisle, Cumberland, England Joseph Lapping. 127 i Laurence C.6 Lapping, born Oct 1920/20 in Carlisle, Cumberland, England. 128 ii William V.6 Lapping, born Apr 1922/22 in Carlisle, Cumberland, England. 129 iii Joseph L.6 Lapping, born Apr 1926/26 in Carlisle, Cumberland, England. 101. Walter Henry5 Doig (Henry Juniper4, Henry Inglis3, Charles2, John1), born Oct 1879/79 in Peckham, Surrey, England; died 8 Mar 1953 in NE Surrey, England. He married in Apr 1902/02 in Nottingham, England Gertrude Ada Needham, born 1878/79 in Manchester, Lancashire, England; died 8 Sep 1953 in NE Surrey, England. In 1905 Walter was a leather dresser at 25 Hill Street, Southwark, Londaon. In 1911 Walter was a leather dresser at 11 Monnow Road, Bermondsey, St. Olave (Bermondsey), London with wife Gertrude and children Elsie, Alfred, and Frederick. Probate: Walter Henry Doig of 1 Cecil Place Mitcham Surrey died 8 March 1953. Admin in London 1 May to Gertrude Ada Doig widow. Effects £1216 19s 4d. Probate: Gertrude Ada Doig of 1 Cecil Place Mitcham Surrey widow died 8 September 1953. Admin London 31 October to Alfred William Doig coach conductor. Effects £1694 9s 10d. + 130 i Elisie May6 Doig, born Jul 1905 in Camberwell (Peckham, London), England; christened 14 Jul 1905 in St. Jude Peckham, Southwark, London, England. She married Stan Whiley. + 131 ii Alfred William6 Doig, born 27 Jan 1907 in Camberwell (Peckham, London), England; died 19 Feb 1979 in Spilsby, England. He married Avis Weeden. 132 iii Frederick W.6 Doig, born Jan 1911/11 in Lewisham (Bermondsey, London), England. Notes: Frederick was a Leading Singalman in the Corvettes. + 133 iv Walter Henry6 Doig, born 21 May 1914 in Camberwell, England; died Jul 2003 in Bury St. Edmunds, Suffolk, England. He married (1) Gladys Frances Titterell; (2) Sylvia Saitta. 102. Albert George5 Doig (Henry Juniper4, Henry Inglis3, Charles2, John1), born 10 May 1882 in St. Clare, England; christened 15 Feb 1893 in St. Jude Peckham, Southwark, London, England; died aft 1942 Of Queens, NY, NY. He married in Oct 1903/03 in Lambeth, England Marion Rosa Faulkner, born 15 Apr 1883 in England; died Apr 1981 in Schroon Lake, Essex Co., NY. Albert came to the US in 1916 and became a naturalized citizen. He registered for the Draft in WWI on 12 Sept 1918 at Jamaica, NY. In 1920 Albert G. Doig was a tailor and merchant at 18 Maxwell Avenue, Queens, Queens Co., NY (page 16) with his wife Marion R., son Albert W., and a boarder Harold Frankling. In 1930 he was comptroller of Maple Grove Cemetery and residing at 8549 159th Street, Queens with his wife Marion Rose and son Albert (cashier at Broker's Trust). In 1940 he was at the same address with Marion and a boarder. 134 i Albert William6 Doig, born Jan 1904/04 in Strood, England; died aft 1940 Of Queens, NY, NY. He married on 22 Aug 1934 in Queens, NY, NY Ida M. Diederich, born 1912/13 in NY. Notes: In 1940 Albert was a clerk for a textile manufacture at 89-20 150 Street, Queens, NY, NY with wife Ida. 103. Victor Charles5 Doig (Henry Juniper4, Henry Inglis3, Charles2, John1), born 6 May 1883 in Camberwell, England; christened 15 Feb 1893 in St. Jude Peckham, Southwark, London, England; died 7 Sep 1951 in Watford, Hertford, England. He married on 10 Aug 1902 in Christ Church, Camberwell, London, England Lavinia Perry, born 12 Apr 1879 in Grimsbury (Banbury), Northamptonshire, England; died Jan 1972/72 in Watford, Hertford, England, daughter of John Perry and Elizabeth Flowers. Probate: Victor Charles Doig of 36 St Albans Road Watford Hertfordshire died 7 September 1951. Administration (with Will) Oxford 15 December to Arthur Doig store manager. Effects £836 3s 5d. Lavinia's father was the Mayor of Banbury. + 135 i Henry Victor6 Doig, born 7 Jan 1903 in Camberwell, England; died 4 Dec 1965 in Harefield Hospital, Middlesex, England. He married Dorothy May Page. + 136 ii John Charles6 Doig, born 31 Dec 1904 in Southwark, England; died Apr 1981/81 in Grantham, England. He married Florence M. Roach. 137 iii Doris Lilian6 Doig, born Jan 1907/07 in St. Clare, England; died 25 May 1950 in Peace Memorial Hospital, Watford, Herfordshire, England. Notes: Doris was blinded as a child. She did not marry. Probate: Doris Lillian Doig of 36 St Albans Road Watford Hertfordshire spinster died 4 February 1951 at Peace Memorial Hospital Watford. Administration London 30 March to Victor Charles Doig retired printer. Effects £189 3s 6d. 138 iv Gladys May6 Doig, born Apr 1909/09 in St. Clare, England. She married in Apr 1943/43 in Watford, England William Broomfield, born abt 1909 Of England. 139 v Edith6 Doig, born Apr 1911/11 in St. Clare, England. + 140 vi Alfred6 Doig, born 24 Nov 1913 in Wandsworth, England; died Apr 1997 in Watford, Hertford, England. He married (1) Joan Myrtle Emmett; (2) Miss Cranfield. 141 vii Violet6 Doig, born Jan 1916/16 in Watford, Hertford, England. She married in Jul 1936/36 in Watford, England Gordon S. Gregory, born abt 1911 Of England. 142 viii Arthur6 Doig, born Jan 1919/19 in Watford, Hertford, England. He married in Apr 1944/44 in Watford, Hertford, England Lillian Cottrell, born abt 1923 Of England. 104. Oscar Frederick5 Doig (Henry Juniper4, Henry Inglis3, Charles2, John1), born 8 Apr 1885 in Camberwell, England; christened 15 Feb 1893 in St. Jude Peckham, Southwark, London, England; died 8 Jan 1965 in Weybridge Hospital, Surrey, England. He married on 22 Aug 1909 in St. Anthony, Nunhead, Southwark, London, England Louisa Jane Soanes, born Apr 1878/78 in Bermondsey (St. Olave), London, England; died Jul 1968/68 in Surrey North, England, daughter of Samuel Soanes. In 1911 Oscar was a patent leather dresser at 32 Plough Lane, Kingston, Surrey with his wife Louisa and daughters Ethel and Florence. Probate: Oscar Frederick Doig of 32Eastworth Road, Chertsey Surrey died 8 January 1965 at Weybridge Hospital surrey. Admin London 4 March to Louise Jane Doig widow. £205. Witnesses were Samuel Soanes & Florence Salt. 143 i Ethel Louise6 Doig, born Apr 1910/10 in Wimbledon (Kingston), Surrey, England. 144 ii Florence Beatrice6 Doig, born Jan 1911/11 in Wimbledon (Kingston), Surrey, England. + 145 iii Henry Samuel6 Doig, born 2 Dec 1915 in Camberwell, London, England. ; died Oct 1981/81 in Slough, England. He married Maisie Vivienne Lowe. 105. Harold Edgar5 Doig (Henry Juniper4, Henry Inglis3, Charles2, John1), born 21 Jul 1886 in Camberwell, London, England; christened 15 Feb 1893 in St. Jude Peckham, Southwark, London, England; died Jan 1926/26 in St. Martin, England. He married on 1 Jul 1911 in St. Mark's Church, Peckham, Southwark, Surrey, England Georgina Heals, born 26 Aug 1885 in Bermondsey, London, England; died Jan 1976/76 in Merton, England, daughter of John Heals. Witnesses were John Heals and Sarah Jane Reed. + 146 i Albert John6 Doig, born 2 Apr 1912 in Camberwell, England; died Nov 1989 in Louth, England. He married Phyllis D. Turnham. + 147 ii Harold Edgar6 Doig, born Oct 1914/14 in Camberwell, England; died 20 Sep 1944 in Arnhem, Netherlands; buried in Oosterbeek War Cemetery, Arnhem, Netherlands. He married Emma White. 148 iii Gertrude M.6 Doig, born Jan 1917/17 in Camberwell, London, England. 149 iv Gladys Georgina6 Doig, born Jul 1920/20 in Kingston, England. She married in Oct 1942/42 in Surrey NE, England Ronald Booth, born abt 1917 in England. 111. Mary Elizabeth5 Pattison (Jane A.4 Doig, David3, David2, John1), born Dec 1881 in Brooklyn, Kings Co., NY. She married (1) Mr. Riegal; (2) Mr. Wilson, born abt 1880 in NY; (3) Daniel Joseph Brady. 150 i Edward6 Wilson, born 1904 in NY. 151 ii John6 Wilson, born 1906 in NY. 152 i Daniel Joseph6 Brady Jr., born 19 May 1923 in 282 Warren Street, Brooklyn, Kings Co., NY; died 19 May 1923 in 282 Warren Street, Brooklyn, Kings Co., NY. 112. Hugh Edward5 Pattison (Jane A.4 Doig, David3, David2, John1), born 28 Sep 1883 in Brooklyn, Kings Co., NY; died 17 Apr 1945 in CT. He married Edith Ophelia Swanson, born 19 Feb 1896 in New Haven, New Haven Co., CT.
153 i Albert6 Pattison, born abt 1913 in CT.
154 ii Edward H.6 Pattison, born 9 Apr 1916 in Hartford, Hartford Co., CT; died Nov 1963 in Hartford, Hartford Co., CT.
155 iii Florence Mary6 Pattison, born 10 Mar 1918 in New Haven, New Haven Co., CT; died 13 Sep 2003 in West Palm Beach, Palm Beach Co., FL. 156 iv Doris H.6 Pattison, born 1 Mar 1920 in New Haven, New Haven Co., CT; died 29 Dec 2005 in Hamden, New Haven Co., CT.
115. William D.5 Pattison (Jane A.4 Doig, David3, David2, John1), born 27 Jul 1889 in Brooklyn, Kings Co., NY; died Mar 1964. He married Elizabeth (---), born abt 1885 in NY. 157 i Loretta6 Pattison, born 1904 in NY. 158 ii Harry6 Pattison, born 1906 in NY. 159 iii Child6 Pattison, born 1914 in NY. 118. Henry James6 Doig (Robert5, Robert Warden4, Andrew3, Charles2, John1), born 1888 in St. Mary, Dundee, Angus, Scotland; died 1964 in Dundee, Angus, Scotland. He married on 29 Dec 1911 in 15 Blackburn Street, St. Peter, Dundee, Angus, Scotland Jessie Lawson Wallace, born 1890/91 in Dundee, Angus, Scotland; died 16 Aug 1943 in 193 Blackness Road, Dundee, Angus, Scotland; buried 19 Aug 1943 in Balgay Cemetery, Dundee, Angus, Scotland, daughter of John Robertson Wallace and Helen Morrison (Ellen) Ritchie. They were married at the bride's home. Witnesses were Robert Doig and Eliza Wallace. 160 i Helen Ritchie (Nellie)7 Doig, born 29 Jul 1913 in 197a Blackness Road, Dundee, Angus, Scotland; died 2007 in Dundee, Angus, Scotland. She married in 1940 in Lochee, Dundee, Angus, Scotland Vincent Desson Baird, born 1911/12 Of Dundee, Angus, Scotland; died 1998 in Dundee, Angus, Scotland. + 161 ii John7 Doig, born 1915 in Dundee, Angus, Scotland. He married Margaret McDonald. 162 iii Mabel7 Doig, born 1918 in Dundee, Angus, Scotland. 122. Ian Henry6 Doig (Kenneth Hayton5, Henry4, William3, Charles2, John1), born 9 Mar 1933 in Hendon, England; died Dec 1986 in Worthing, England. He married in Jul 1957/57 in Willesden, England Doreen W. Willis, born abt 1936 in England. 163 i Katherine Mary7 Doig, born Jan 1961/61 in Rugby, England. 164 ii Andrew W.7 Doig, born Apr 1965/65 in Rugby, England. 165 iii Susan P.7 Doig, born Oct 1958/58 in Rugby, England. She married in Apr 1982/82 in Crawley, England Mr. Pollack. 130. Elisie May6 Doig (Walter Henry5, Henry Juniper4, Henry Inglis3, Charles2, John1), born Jul 1905 in Camberwell (Peckham, London), England; christened 14 Jul 1905 in St. Jude Peckham, Southwark, London, England. She married in Oct 1930/30 in Camberwell, London, England Stan Whiley. 166 i Stanley W. H.7 Whiley, born Apr 1932/32 in Camberwell, London, England. 167 ii Iris W.7 Whiley, born Jul 1937/37 in Camberwell, London, England. 131. Alfred William6 Doig (Walter Henry5, Henry Juniper4, Henry Inglis3, Charles2, John1), born 27 Jan 1907 in Camberwell (Peckham, London), England; died 19 Feb 1979 in Spilsby, England. He married in Jul 1935/35 in Lewisham, England Avis Weeden, born abt 1914. Alfred was a coach conductor. Probate: Alfred William Doig of 51 Skegness Road Burgh-le-Marsh Lincs died 19 February 1979. Admin Nottingham 7 August £17180. 168 i Colin7 Doig, born Jan 1936/36 in Lewisham, England..
169 ii Brian7 Doig, born Apr 1937/37 in Woolwich, Kent, England. 133. Walter Henry6 Doig (Walter Henry5, Henry Juniper4, Henry Inglis3, Charles2, John1), born 21 May 1914 in Camberwell, England; died Jul 2003 in Bury St. Edmunds, Suffolk, England. He married (1) in Jan 1940/40 in Camberwell, England, divorced Gladys Frances Titterell, born abt 1919 in England; died 3 Mar 1997 in England; (2) in Jul 1972/72 in Croyden, England Sylvia Saitta. 170 i Julia7 Doig, born Jul 1942/42 in Chard, Endland. She married in Jul 1962/62 in Camberwell, England Richard Letchford. 171 ii Alan Robert7 Doig, born Jan 1945/45 in Abingdon, England. + 172 iii Janice Fiona7 Doig, born Oct 1948/48 in Camberwell, London, England. She married Pierre Le Roy. 173 iv Stella7 Doig, born Oct 1953/53 in Camberwell, England. She married in Jul 1979/79 in Surrey, England Angus F. Spence..
135. Henry Victor6 Doig (Victor Charles5, Henry Juniper4, Henry Inglis3, Charles2, John1), born 7 Jan 1903 in Camberwell, England; died 4 Dec 1965 in Harefield Hospital, Middlesex, England. He married in Jan 1921/21 in Watford, England Dorothy May Page, born abt 1903 in England. Probate: Henry Victor Doig of 23 Dell Road Watford, Hertfordshire died 4 December 1965 at Harefield Hospital Middlesex. Admin London 2 March to Dorothy May Doig widow. £810. Death recorded in Hillington. 174 i Margaret D.7 Doig, born Jul 1929/29 in Watford, England; died Oct 1929/29 in Watford, England. + 175 ii Gordon Victor7 Doig, born 4 Nov 1930 in Watford, England; died Mar 1997 in Avon, England. He married (1) Jill Soton; (2) Thelma Hicks. 176 iii Anthony C.7 Doig, born Apr 1942/42 in Watford, England; died Jul 1942/42 in Watford, England. Notes: Middle initial may be G.
136. John Charles6 Doig (Victor Charles5, Henry Juniper4, Henry Inglis3, Charles2, John1), born 31 Dec 1904 in Southwark, England; died Apr 1981/81 in Grantham, England. He married in Apr 1932/32 in Watford, England Florence M. Roach, born abt 1911 Of England. + 177 i John R. C.7 Doig, born Jan 1936/36 in Watford, England. He married Murial J. W. Brown. 178 ii Florence Betty7 Doig, born Oct 1938/38 in Watford, England. She married in Apr 1957/57 in Watford, England Donald S. Crockett, born abt 1932 Of England. + 179 iii David W.7 Doig, born Jan 1942/42 in Watford, England. He married Miss Richardson. 140. Alfred6 Doig (Victor Charles5, Henry Juniper4, Henry Inglis3, Charles2, John1), born 24 Nov 1913 in Wandsworth, England; died Apr 1997 in Watford, Hertford, England. He married (1) in Jul 1940/40 in Watford, England Joan Myrtle Emmett, born 1916 Of England; died Apr 1979/79 in Watford, Hertford, England; (2) in Apr 1982/82 in Watford, Hertford, England Miss Cranfield. 180 i Janet P.7 Doig, born Jul 1942/42 in Watford, England. She married in Apr 1962/62 in Watford, England Mr. Morgan. 181 ii Shiela J.7 Doig, born Apr 1949/49 in Watford, England. She married in Jul 1975/75 in Watford, England Mr. Hendry. 145. Henry Samuel6 Doig (Oscar Frederick5, Henry Juniper4, Henry Inglis3, Charles2, John1), born 2 Dec 1915 in Camberwell, London, England. ; died Oct 1981/81 in Slough, England. He married in Apr 1942/42 in Surrey NW, England Maisie Vivienne Lowe, born 5 Mar 1911 in England; died 7 Feb 1978 in Slough, England. 182 i Brian K.7 Doig, born Oct 1943/43 in Eton, England. He married (1) in Jan 1971/71 in Chesterfield, England Christine M. Collins, born abt 1947 in Eton, England; (2) in Jul 1981/81 in Bakewell, Derby, England Bridget G. M. Fawcett, born abt 1950 in England. 183 ii Susan E.7 Doig, born Oct 1946/46 in Eton, England. She married in Jul 1969/69 in Eton, England Robin M. J. Glover, born abt 1942 in England. 146. Albert John6 Doig (Harold Edgar5, Henry Juniper4, Henry Inglis3, Charles2, John1), born 2 Apr 1912 in Camberwell, England; died Nov 1989 in Louth, England. He married in Oct 1933/33 in Hammersmith, England Phyllis D. Turnham, born abt 1913 Of England. 184 i Dian M.7 Doig, born Jan 1945/45 in Hastings, England. 147. Harold Edgar6 Doig (Harold Edgar5, Henry Juniper4, Henry Inglis3, Charles2, John1), born Oct 1914/14 in Camberwell, England; died 20 Sep 1944 in Arnhem, Netherlands; buried in Oosterbeek War Cemetery, Arnhem, Netherlands. He married Emma White, born abt 1918 in Glasgow, Lanark, Scotland. Harold was a sergent (6141509) in the 1 Airlanding Anti-Tank Regiment, Royal Artillery. He was killed in action in the Battle of Arnhem in Holland. In 1944 Emma lived in Wimbledon, Surrey. + 185 i Allan Frederick Charles Herbert7 Doig, born 18 Dec 1941 in Crossmichael, Kirkcudbright, Scotland. He married Janette Gibson. 161. John7 Doig (Henry James6, Robert5, Robert Warden4, Andrew3, Charles2, John1), born 1915 in Dundee, Angus, Scotland. He married on 20 Jul 1940 in Dundee, Angus, Scotland Margaret McDonald, born abt 1919 Of Dundee, Angus, Scotland, daughter of R. McDonald. John and Margaret moved to Australia in 1964. DOIG / M'DONALD. / At Dundee, on 20th July 1940, John, youngest son of Mr and Mrs H. Doig, 193 Blackness Road, Dundee, to Margaret, elder daughter of Mr and Mrs R. M'Donald, 66 Byron Street, Dundee. 186 i Les8 Doig, born abt 1945 in Australia; died bef 2014. 187 ii Ken8 Doig, born abt 1949 in Australia; died bef 2014 in Australia. + 188 iii Douglas8 Doig, born 1954 in Australia. He married unknown. 172. Janice Fiona7 Doig (Walter Henry6, Walter Henry5, Henry Juniper4, Henry Inglis3, Charles2, John1), born Oct 1948/48 in Camberwell, London, England. She married in Oct 1967/67 in Camberwell, England Pierre Le Roy, born abt 1945. 189 i Marc Roger8 Le Roy, born 26 Jan 1971 in Maldon, Essex, England. 190 ii Anton Pierre8 Le Roy, born 29 Nov 1976 in Maldon, Essex, England. 175. Gordon Victor7 Doig (Henry Victor6, Victor Charles5, Henry Juniper4, Henry Inglis3, Charles2, John1), born 4 Nov 1930 in Watford, England; died Mar 1997 in Avon, England. He married (1) in Jul 1952/52 in Watford, England Jill Soton, born abt 1931 Of England; (2) in Jul 1956/56 in Watford, England Thelma Hicks, born abt 1934 in Bristol, England. Gordon Victor Doig served for many years in the army, serving in Aden, Germany, Cyprus, and Naples. He left the army and joined the TA in Bath, where he remained until he retired. He was a very keen gardener in his spare time and it is interesting to see how many of his ancestors were as well. He was a scout in his youth and kept the outdoor lifestyle all his life, camping with 4 young children and then moving onto caravanning. He was a quiet and gentle man who is greatly missed by the whole family. 191 i Robert8 Doig, born Oct 1957/57 in Kensington, England. He married in Oct 1981/81 in Bristol, England, divorced Kimberly Greenslade. + 192 ii Kim8 Doig, born Jul 1959/59 in Ealing, England. She married Steve Hills. + 193 iii Lynette J.8 Doig, born abt 1963 in Raf Akrotiri, Cyprus. She married (1) Mr. Clements; (2) Mr. Ford. 194 iv Gordon8 Doig, born Jul 1967/67 in Aldershot, England. He married (1) in Jul 1976/76 in Gloucester, England Gaye Taylor; (2) in 2000 Elaine Piper, born abt 1975. 177. John R. C.7 Doig (John Charles6, Victor Charles5, Henry Juniper4, Henry Inglis3, Charles2, John1), born Jan 1936/36 in Watford, England. He married in Apr 1958/58 in Watford, England Murial J. W. Brown, born abt 1937 Of England. 195 i Paul J.8 Doig, born Oct 1959/59 in Watford, England. He married in May 1992 in Watford, England Miss Drew. 196 ii John D.8 Doig, born Jan 1961/61 in Watford, England. 197 iii Mandy E.8 Doig, born Jul 1963/63 in Watford, England. She married in Oct 1983/83 in Watford, England Mr. McGUIRE. 179. David W.7 Doig (John Charles6, Victor Charles5, Henry Juniper4, Henry Inglis3, Charles2, John1), born Jan 1942/42 in Watford, England. He married in Oct 1965/65 in Watford, England Miss Richardson. + 198 i Keven William8 Doig, born Apr 1966/66 in Watford, England. He married Miss Sellars. 199 ii Jane Linda8 Doig, born Jul 1968/68 in Watford, England. She married in Jul 1990 in Watford, England Mr. Wright. 185. Allan Frederick Charles Herbert7 Doig (Harold Edgar6, Harold Edgar5, Henry Juniper4, Henry Inglis3, Charles2, John1), born 18 Dec 1941 in Crossmichael, Kirkcudbright, Scotland. He married in 1970 in Castle Douglas, Kirkcudbright, Scotland Janette Gibson, born 2 Apr 1945 in England. + 200 i Erik Harald Carsten8 Doig, born 16 Aug 1975 in Scotland. He married Catherine Olive Dundas or Joslin. 201 ii Carl Christian Frederick8 Doig, born 31 Dec 1979 in Scotland. 202 iii Edward Andrew Charles8 Doig, born 8 Jul 1982 in Scotland. He married in 2006 in Isle of Bute, Argyll & Bute, Scotland May Ling Eide, born abt 1986 Of Singapore. 188. Douglas8 Doig (John7, Henry James6, Robert5, Robert Warden4, Andrew3, Charles2, John1), born 1954 in Australia. He married unknown. 203 i Jack Doig9 Collins. 192. Kim8 Doig (Gordon Victor7, Henry Victor6, Victor Charles5, Henry Juniper4, Henry Inglis3, Charles2, John1), born Jul 1959/59 in Ealing, England. She married in Sep 1984 in Bristol, England Steve Hills. 204 i Martin9 Hills, born 31 Oct 1987. 205 ii Aimee Louise9 Hills, born 19 May 1993. 193. Lynette J.8 Doig (Gordon Victor7, Henry Victor6, Victor Charles5, Henry Juniper4, Henry Inglis3, Charles2, John1), born abt 1963 in Raf Akrotiri, Cyprus. She married (1) in Apr 1986 in Bristol, England, divorced Mr. Clements; (2) in Jan 1981/81 in Bristol, England Mr. Ford. In 2006 Lynette and family lived in Bristol, England. 206 i Sophie June9 Clements, born 19 Feb 1988. 207 ii Nicole Samantha9 Clements, born 29 Dec 1991. 198. Keven William8 Doig (David W.7, John Charles6, Victor Charles5, Henry Juniper4, Henry Inglis3, Charles2, John1), born Apr 1966/66 in Watford, England. He married in Jul 1986 in West Oxford, England Miss Sellars. 208 i Stephanie Jayne9 Doig, born May 1987 in Swindon, England. 209 ii Hannah Jade9 Doig, born Jan 1989 in Swindon, England. 200. Erik Harald Carsten8 Doig (Allan Frederick Charles Herbert7, Harold Edgar6, Harold Edgar5, Henry Juniper4, Henry Inglis3, Charles2, John1), born 16 Aug 1975 in Scotland. He married in 2001 in Park Circus, Glasgow, Lanark, Scotland Catherine Olive Dundas or Joslin, born 9 Feb 1975 in Scotland. Erik and family live in Strathaven in South Lanarkshire, Scotland. 210 i Rachel Lois9 Doig, born 22 Sep 2002 in Scotland. 211 ii Nina Bronwen9 Doig, born 21 Mar 2004 in England. -----, 1881 English Census, Cumberland, Burg by Sands - Charles Doig. -----, 1881 English Census, Cumberland, Whitehaven - Henry Inglis Doig. -----, 1881 English Census, Essex, Romford - William Doig. -----, 1881 English Census, Essex, Runwald - Harry Doig. -----, 1881 English Census, Essex, South Weald - William Doig. -----, St. Catherine's Index, Marriages - William Doig, Henry Inglis Doig. Deaths - Henry Doig, Jane Doig. -----, 1881 Scottish Census, Angushire, Panbride - Janet (Warden) Doig. -----, 1881 Scottish Census, Fife, St. Andrews - Robert Doig. -----, 1891 Scottish Census, Fife, St. Andrews - Margaret Doig. -----, Dundee Burial Records, (#0993407) - Margaret Doig. -----, Old Parochial Records, Dundee, Inverarity & Methay (#0102632), Kirriemuir (#0102641), Newtyle (#0102667). -----, Vital Records of Scotland, Deaths - Susan Doig, Robert Doig, Isabella Warden Doig.